Carlsbad Caverns National Park. 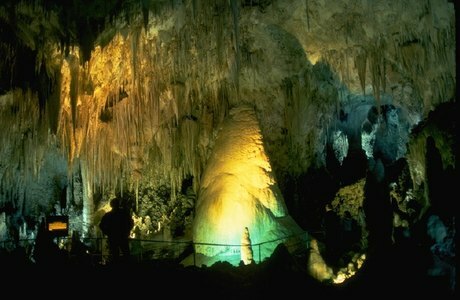 Established to preserve Carlsbad Cavern and numerous other caves within a Permian-age fossil reef, the park contains more than 100 known caves, including Lechuguilla Cave, the nation's deepest limestone cave at 1,567 feet and fourth longest. Carlsbad Cavern, with one of the world's largest underground chambers and countless formations, is highly accessible, with a variety of tours offered year-round.